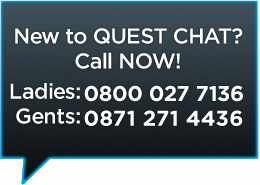 Quest Chat - Get ready to Feel the Rush of Excitement! Quest is EASY to use! You'll be connecting in seconds!